This four-bedroom detached house with modern fittings, is available now and situated in a well-regarded schooling area on the North side of Billericay close to the Country Park, Stock Brook Manor Country Club, Lake Meadows Recreational Park and footpaths to Billericay Railway Station. 3 bed Semi on the popular Mill Grange Development, itself next to Mill Meadows Nature Reserve and within 0.9 miles of the Station using the Daines Road/Crown Road short cut. Local shops & schools nearby. Features a Kitchen/Diner, ground floor WC, Garage part converted to a games Room. Enjoying the south facing rear garden within the cul-de-sac position which is convenient for access to Billericay town centre and railway station this three-bedroom semi detached house provides stylishly presented accommodation. COMING SOON. 3 Bed Semi with Own Drive to Garage, Lounge with arch through to Dining area, Fitted Kitchen, ground floor WC, 3 first floor bedrooms and refitted Bathroom. Small Garden for low maintainance. Big House with 55ft Garden in the CONSERVATION AREA of Noak Bridge Village, near local shops. Hall with big understairs cupboard, 23ft Lounge/Diner, 16ft Kit/Brek Room with RANGE COOKER, separate Utility Room, ground floor WC Room, FITTED WARDROBES in 2 of the 3 DOUBLE BEDROOMS, refitted Bathroom. 3 Bed House with the Own Drive & Garage opposite. 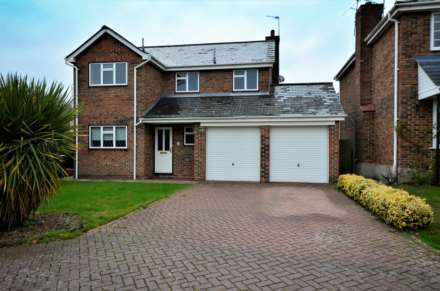 Situated in a quiet cul-de-sac in north Billericay nr Stockbrook Manor & Shops. Hall, Lounge with feature fire, 16ft Kitchen/Diner, White Bathrm, Remote controlled Gas central heating, UPVC double glazing & 30ft private Garden. Available immediately and located on Billericay High Street is this three bedroom duplex apartment with a large kitchen/diner, lounge, 4 piece bathroom and roof terrace, Internally the property is decorated in neutral colours with a wood effect laminate flooring and under floor heating. This stylishly designed town centre two bedroom town centre duplex apartment with its own front was built in an aesthetically pleasing character style and has an en-suite shower room and dressing area, a lounge with open kitchen, gas radiator heating and parking. One Bed Bungalow set behind the secure gates of a pretty Barn style Complex just over 1 mile from Billericay High Street. Large Hall (big enough for small dining table), Living area, modern Kitchen, Bedroom with built-in wardrobes along one wall, modern Shower Room, Parking & Private Outside space. Available NOW. 1st floor Studio Flat just 0.9 mile from Billericay Mainline Railway Station (London in 35 minutes) and only 2 minutes walk away from the Queens Park shopping centre which includes a Co-op supermarket. Modern interior includes Refitted Kitchen & Bathroom. Big Loft. Allocated parking. Great value Twin Office with ALL INCLUSIVE Rent ! So only bills to pay are your Rent and the phone bill ! 1st Floor of this attractive historic building just off the High Street. 290sq ft (26.95sq m) with current B1 usage. Comprising two Offices with open space between, shared kitchen and WC.